This article is 1988 days old. The intersection of Manning Road and Riverside Drive in the Town of Tecumseh will be re-opened to pedestrian and vehicular traffic starting this afternoon. The area of Riverside Drive, from Grace Road easterly to Christy Lane, has been closed since early September to facilitate the completion of roadwork, including a new roundabout at the intersection of Manning Road and Riverside Drive. 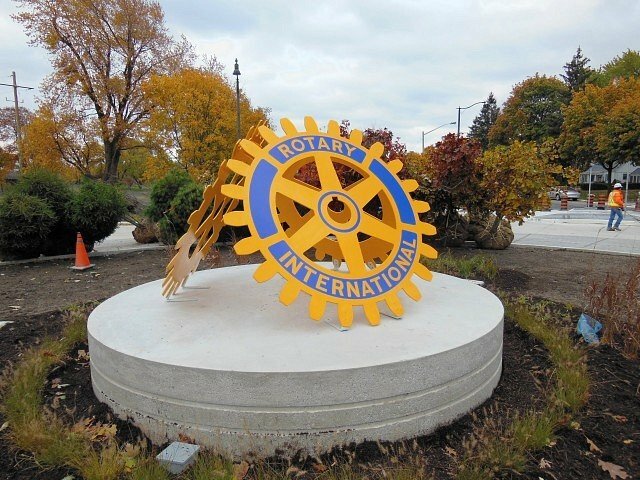 If you head through the area, you’ll notice a large Rotary wheel sculpture dominating the roundabout. 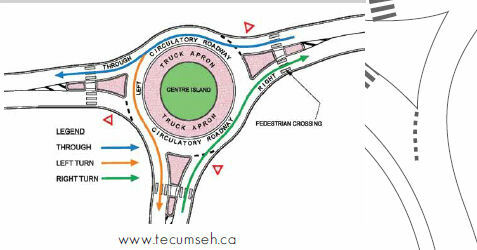 The town says that the construction of the roundabout is now substantially complete. The town has a special section on their website to demonstrate to how to drive safely in roundabouts. Work continues in the area just north of the roundabout to complete a new storm water pump station building.